KOEI TECMO Europe is pleased to reveal the bonuses included with each of its two upcoming GUST Studios titles headed to PC via Steam, Atelier Sophie: The Alchemist of the Mysterious Book and Nights of Azure. On the 7th February 2017, PC gamers will have the opportunity to step into the mysterious and colourful world of Atelier Sophie and experience Gust’s first action RPG in the dramatic story of Nights of Azure. A new trailer was released today alongside a selection of assets showcasing the breadth of bonus content available for PC players to enjoy free of charge at launch. Atelier Sophie offers players a wide variety of DLC included with its Steam release, including a collection of items to aid players on their adventure, background music packs featuring fan favorite tracks from the Atelier series, an additional “Hidden Archive” map and a selection of delightful costumes for Plachta, such as the Doll Making costume Viorage, Silver Tail, Mascoty, Lady Saber, Saint Knight and the Aqua Suit. Nights of Azure will include the adorable Gust-chan support character, who can be summoned to gain an upper hand in battles. In addition, those who purchase Atelier Sophie: The Alchemist of the Mysterious Book and Nights of Azure together will receive a 20% bundle discount. 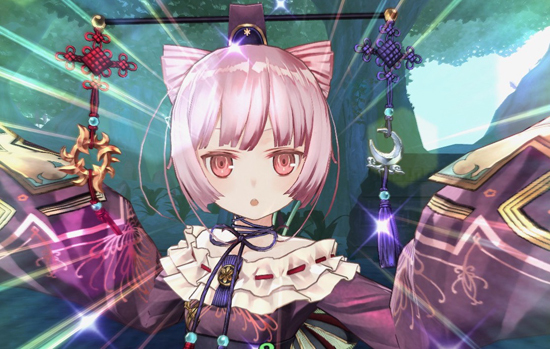 Atelier Sophie: The Alchemist of the Mysterious Book follows the exploits of young novice Alchemist, Sophie Neuenmuller, who discovers she is the owner of an enigmatic book imbued with a soul. This Mysterious Book seems to hold all the secrets to the art of Alchemy, even going on to become Sophie’s mentor. As Sophie experiments with Alchemy throughout the story she unravels the book’s forgotten memories and eventually sets out to uncover the strange tale of its origin. Uncover the mysteries of Alchemy that have been hidden away and forgotten alongside Plachta, the Mysterious Book, and experiment with the Synthesis system to learn new alchemy recipes at any pace! Atelier Sophie: The Alchemist of the Mysterious Book was originally released for the PlayStation 4 and PlayStation Vita handheld entertainment system. Marking a new action-oriented and darker direction for titles from GUST Studios, Nights of Azure tells a tragic tale of two friends faced with impossible decisions that will test their loyalty to their quest – and to each other. In the kingdom of Ruswal, very few people leave their homes after nightfall, let alone have the strength and skill to take on the powerful, azure-blooded demons that plague the island. One of the best among these brave few is Arnice, a knight of great skill and power, who is assisted by her friend and priestess Lilysse in a quest to rid the land of these monsters. However, they soon find out that the solution to the island’s problems might not be as simple as defeating enemies in battle. 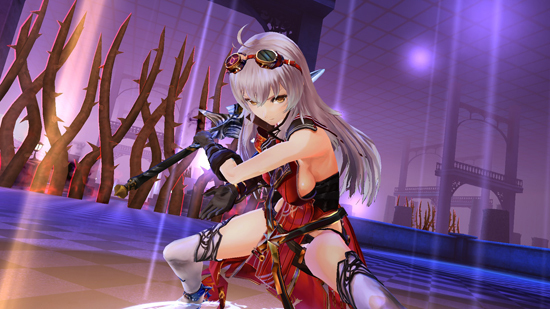 Nights of Azure was previously exclusive to the PS4™ system.